This category includes timers, counters, and tachometer. Some products are digital timers, compact, and have audible alarms. Digital Timer / Tachometer / Counter - combines a versatile timer, counter, and tachometer in one. Easy-to-read. 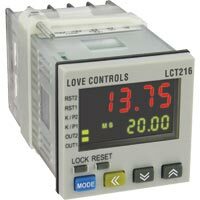 Fourteen pre-programmed timer functions are easy to set up and cover most applications. 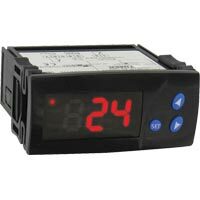 Low Cost Digital Timer provides accurate countdown timing for a variety of applications. Can be triggered remotely using the digital input terminals or locally via the set button. Has an internal buzzer. 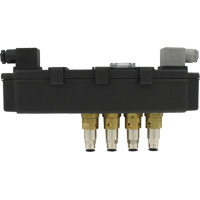 Solenoid Valve Enclosure with Timer is a compact, reliable, and economic package which is designed for small to medium filtration systems. Applications include dust collection, pneumatic conveying, and industrial vacuums.